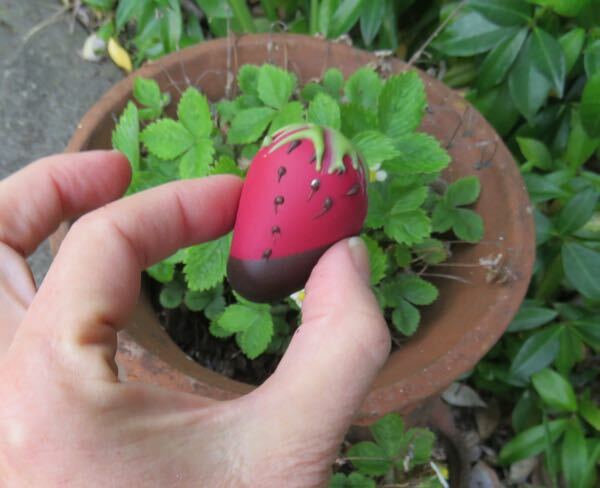 Welcome to Day #2 of Chocolate and Strawberries Theme Week. Today's Dark Chocolate Strawberry Truffles from Moonstruck Chocolate Co. (Portland, CA) were creatively designed to look like strawberries. 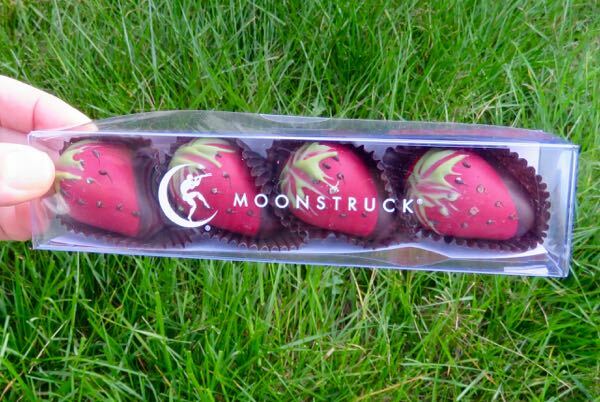 However, because these sweet, strawberry-shaped chocolate confections, it was discovered, had been featured here before (as part of a Moonstruck summer fruit sampler a few years ago), another chocolate item was needed today. Fortunately, there were back-up chocolates available, and duplication was avoided once again. 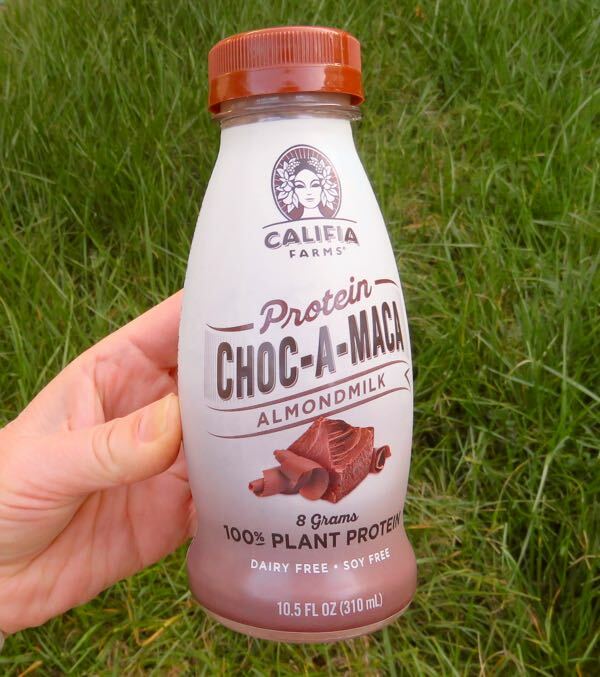 And, the primary chocolate today became a plant protein drink from Califia* Farms (Bakersfield, CA, with corporate offices in the downtown arts district of Los Angeles, CA). 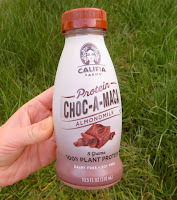 The company's Choc-A-Maca Protein Almondmilk** beverage had a relatively creamy texture and authentic "chocolate milk" taste, with a slight plant (pea, rice) protein texture and aftertaste. *Queen Califia of Spanish legend ruled over the mythical island of California.